Listing provided by Edina Realty, Inc. 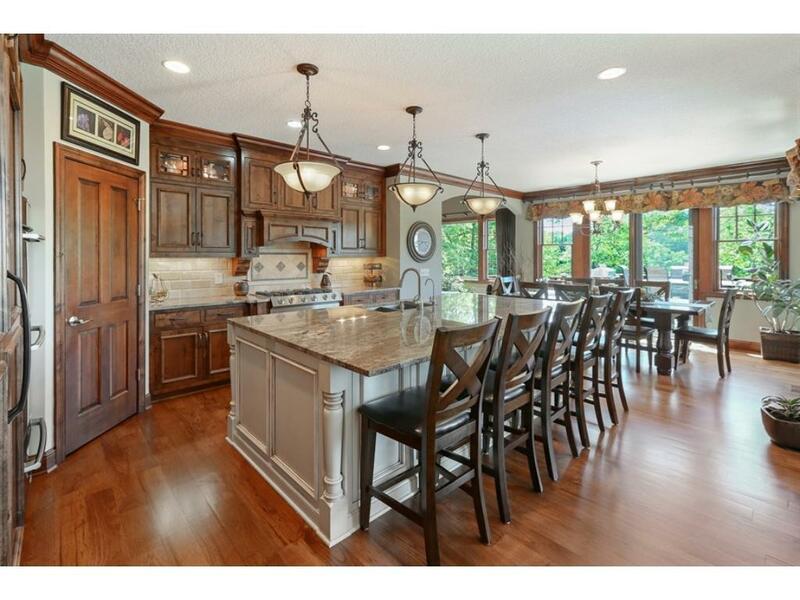 Looking for a private oasis in Lakeville where family living & entertaining are a true pleasure? This exceptional property is loaded with custom amenities & boasts the finest in outdoor living! Highlights include: hickory floors+knotty alder cabinets & millwork; gourmet kitchen with professional appliances; 3 bedrooms on the ML; private theater above garage; walkout LL with well equipped wet bar+full outdoor kitchen; dual mechanicals; private acreage with wetland views; & more. See supplements! Directions - Cty Rd 70 to Wagon Wheel to Boulder Creek Drive.